Calling all Niners fans! True fanatics will see this NFL® San Francisco 49ers™ Helmet-Style Fan Mask as the perfect finishing touch for a game day outfit! 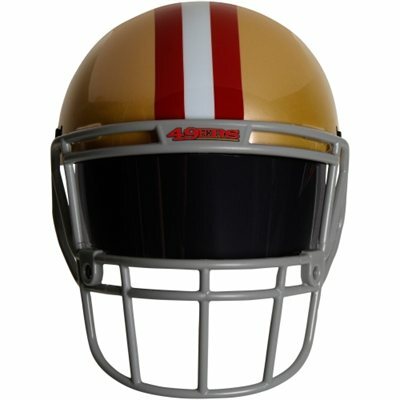 With the gold and red on the helmet portion and a sun visor in the facemask, this mask looks so much like the real thing. This mask will make it hard to distinguish you from the pros on the field. It's also great for costume parties and Halloween costumes. Great for fans of all ages!